The United Nations Framework Convention on REDD+ decided that REDD+ would be implemented in three phases. The first phase involves the development of a National REDD+ Strategy, including the identification of policies and measures to reduce GHG emissions, and associated capacity-building. In the second phase, the policies and measures identified in phase 1 are implemented, leading to full implementation in the third phase, with results measured, reported and verified. So, when will Myanmar start implementing REDD+? The answer to that question depends to a large degree on how you define “implementing”. Some argue that “implementing” only applies when a country reaches phase 3. On the other hand, it could also be argued that by engaging in phase 1, Myanmar is already implementing REDD+. However, the most useful definition of “implementing” refers to the time when Myanmar starts implementing policies and measures (i.e., phase 2). In Myanmar, the National REDD+ Strategy is still being developed (see REDD+ Knowledge Myanmar Issue 3). Consultations with stakeholders are still on-going, with the goal of completing the Strategy by the end of 2018. Therefore, Myanmar is clearly still in phase 1. However, the three phases of REDD+ are not mutually exclusive; they can overlap in time. It is also important to understand the nature of the National REDD+ Strategy and how it will be implemented. The Strategy does not describe an independent body of work that will necessarily be implemented under the banner of “REDD+ Strategy”. Rather, it describes a portfolio of policies and measures, most of which will be implemented through associated programmes and projects. So, while the Strategy is still being finalized, some of the obvious and non-controversial policies and measures can be implemented, in parallel. This is exactly what is happening currently in Myanmar. For example, reforestation will be a significant component of the National REDD+ Strategy. The Myanmar Reforestation and Rehabilitation Programme (MRRP) is a comprehensive and very large programme, launched in 2016. There will be no “REDD+ Strategy Reforestation Programme” – the MRRP IS the reforestation and rehabilitation component of the REDD+ Strategy. Similarly, the one-year logging moratorium (and 10 years in Bago Yoma), announced by the government in 2016, while not specifically designed to reduce GHG emissions, nevertheless is a very substantial contribution to addressing over-harvesting of timber as a driver of forest degradation. 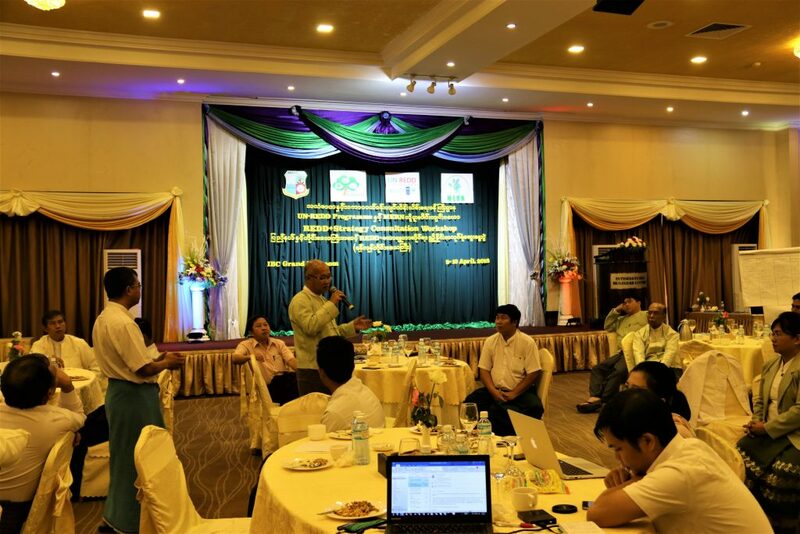 Therefore, it is accurate to say that Myanmar is already implementing REDD+, through existing government and development partner-supported projects. The challenge in ensuring significant and sustainable emission reductions is in implementing policies and measures that address underlying causes related to inter-sectoral coordination and cooperation – existing initiatives do not cover such issues.